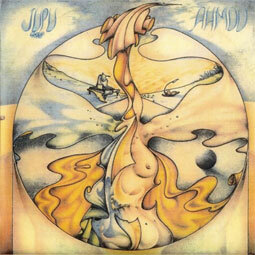 JUPU GROUP, led by violinist Juhani "Jupu" Poutanen, was a somewhat typical Finnish prog act, as most bands in the country (during the '70s) played some form of jazz-rock/fusion. The music on the band's only album 'Ahmoo' (originally issued in 1975) is much in the vein of WEATHER REPORT and RETURN TO FOREVER, but with a sound of its own. Limited to 300 copies on BLACK VINYL.